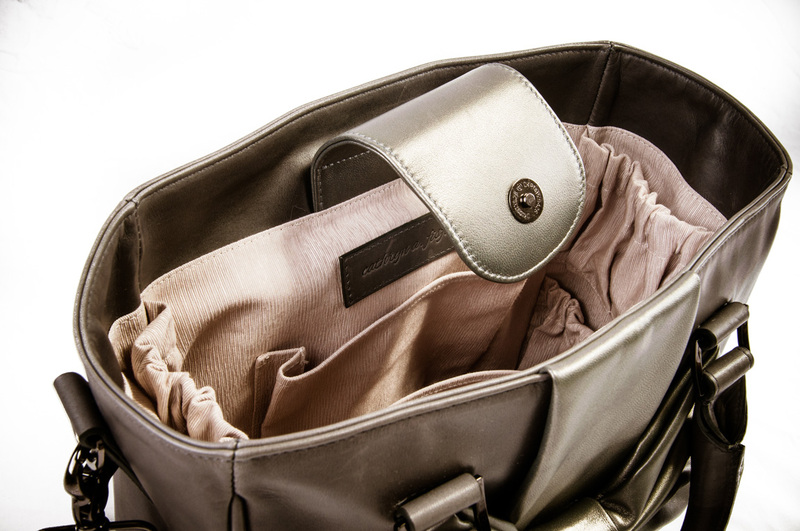 This little sister to Samantha is a cowhide tote with lambskin bow. 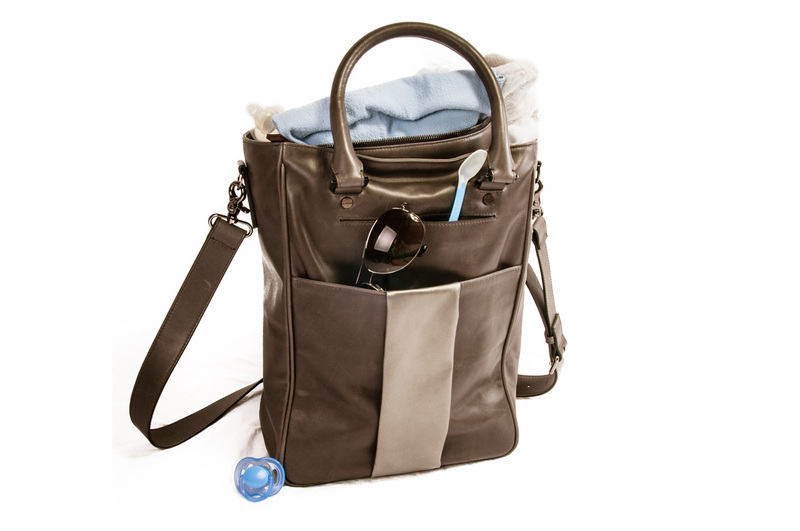 With at total of ten pockets, this bag is not only a fashionable choice but a functional one at that. Large external back pocket perfect for changing mat or tablet with magnetic closure as to not wake any sleeping little ones as well as external cell phone pocket for mom. Two interior side pockets for bottle or sippy cup as well as two interior binkie pockets for easy access when you need it most. The wipe-clean contrasting lining makes items easy to find and helps protect against small spills or dirt that may come your way. Sabine may be worn on your arm as your favorite accessory or over the shoulder. 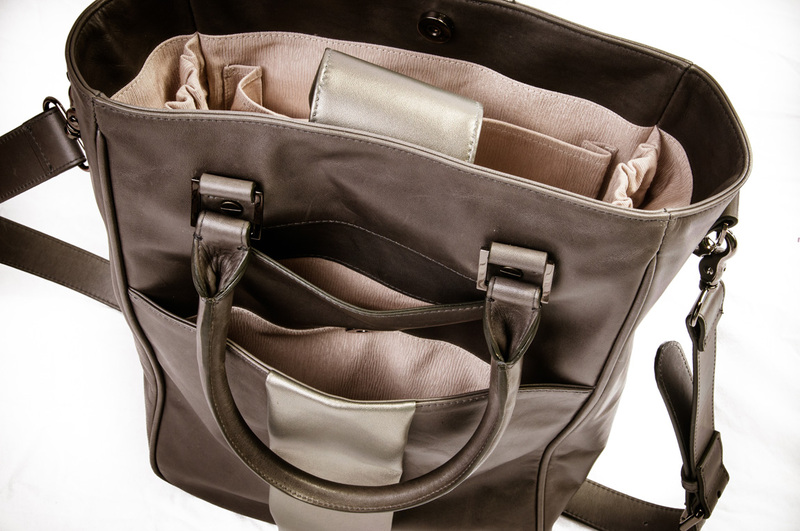 She has 43” long removable and adjustable shoulder strap; leave the shoulder strap attached for a messenger style bag or remove it for a cleaner look. 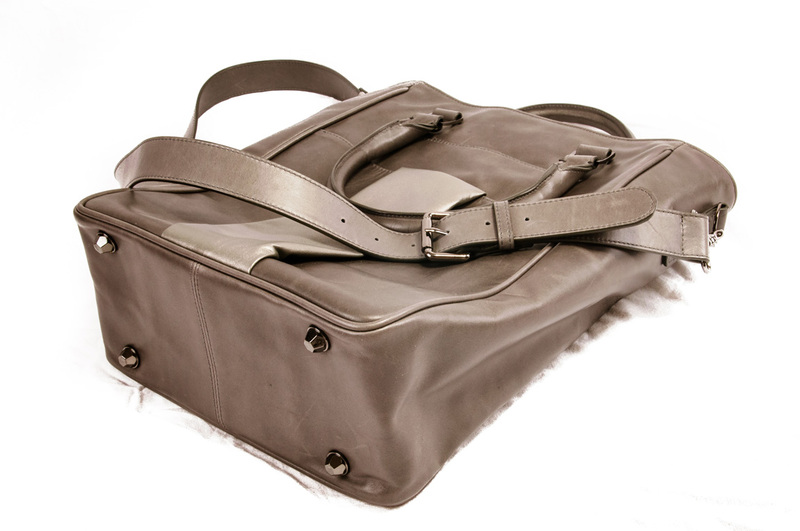 Sturdy bottom & four nickel feet keep your bag off the ground & scuff-free.